Monica...wow, I love this. We did get similar vibes from our Muse this week. Your sentiment is perfect. Love the way your hearts flow - great design! Love this - the addition of the bling is really fun! So glad you joined us at Muse this week, Monica! I'm glad I joined in the fun this week too, thanks! How convenient the circle dies were still connected! 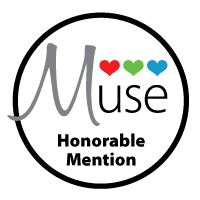 Fabulous inspired card - Thanks so much for joining me at Muse! Thanks, I love your designs and happy to play along! You hit the target with your card! Fabulous! Thanks Helen, and thanks for adding my your circle! Wow! These cards are so charming! And thanks for reminding me that Valentine's will be here soon. I am always (and I do mean always) running about two months behind for every holiday, so I appreciate this inspiration now. I really love how you used bold red and white- they are so traditional for Valentine's, yet you've made them look totally fresh and modern with how you used those dies. I thought it was genius of you to leave the stitched circles set intact to make the bulls-eye. And the sentiment was so heartwarming! Love that! These made me smile and be impressed at your skills at the same time. I thoroughly enjoyed your post, so thank you so much for sharing your talents with us for this week's Simon Says Stamp Monday Challenge! Such a great card!!!!! Love the entire theme!!! Way to go! Thanks for stopping by my blog too!!! Wonderful card Monica! It's so striking and I love how you've created a target with those lovely stitched circle dies, fabulous idea. 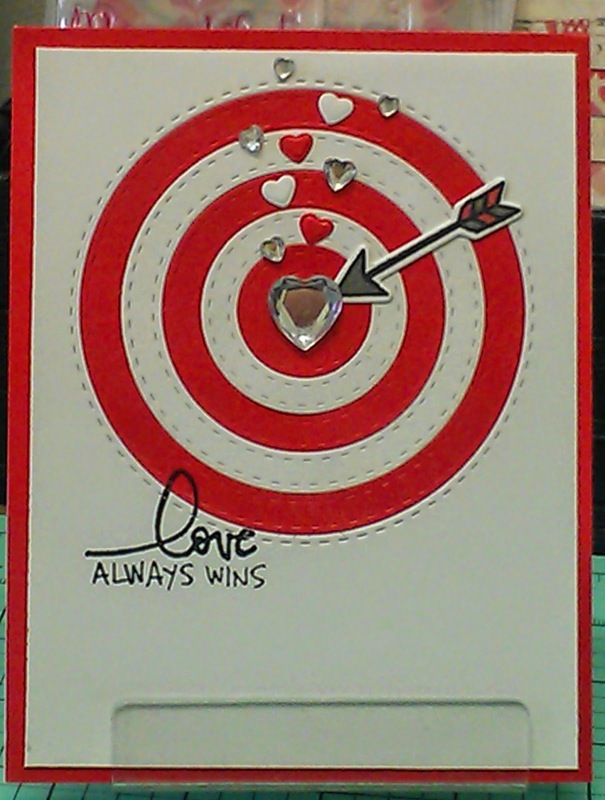 Tricia Podmore iliveforthelord52@gmail.com, I really love the bulls eye card, what acreative way to use circle dies. This is why I love visiting other crafters sites as the inspiration shared is awesome. Thank you so much for sharing your talents.